UFC 228 features a battle for the UFC Welterweight Title between reigning champion Tyron Woodley and unbeaten challenger Darren Till. Woodley is making the fourth defense of his welterweight title. After being out since July of 2017, however, his career is in need of a positive development. In Till, he will be facing one of the better young up-and-comers in the sport. Will we see Woodley again find a way to navigate his way to the winner’s circle or are we going to see a changing of the guard? Tyron Woodley defends his UFC 170-pound title on September 8 against top challenger Darren Till. This will headline the UFC 228 card in Dallas. It is the fourth defense for Woodley, who won the title in 2016 with a KO over Robbie Lawler. It is his first octagon performance in 14 months, following a 5-round decision win over Damien Maia. Till is just 25, 11 years Woodley’s junior. He is unbeaten and a huge 170-pounder that many people fancy to annex the reigning champion’s belt in this title fight. Woodley, 36, has run foul of fans and the UFC organization in many ways. His KO win over Lawler to win the belt was certainly impressive and indeed violent. But his two fights against Stephen Thompson, which resulted in a draw and a win, were hard to watch. His decision win over Maia was hardly memorable. Throw in a period of inactivity that will be at 14 months by fight-night and it’s not hard to see how Woodley isn’t the most popular guy right now. At the same time, Woodley is pretty cagey at doing what it takes to win, sometimes at the expense of overall entertainment-value. Against Thompson, a supreme striker, he refused to allow himself to play the role of dutiful foil. Rather than rush in, he played it cagey. And against Maia, a superb BJJ practitioner, he was able to neutralize his opponent’s strengths. He hurt his shoulder in the fight, hindering his performance and leading to this recent layoff. At the end of the day, we’re talking about a former contender who had his share of ups and downs who was able to take the leap to championship status. He’s a champ with three defenses under his belt and it’s hard to argue anything other than that he’s been highly successful. It’s not all Woodley’s fault that his recent fights have been such stinkers. And let’s also not forget that we shouldn’t confuse overall merit with entertainment value in the first place. If anything, his willingness to turn people against him in order to pursue the best course to victory shows his maturity and that he has a nose for winning. But with the blockbuster power he carries in his hands, opponents are not that eager to rush in and taste his power. They let Woodley find a more-leisurely route to victory. They know they can’t afford to get hit and that Woodley can wrestle with the best of them. Still, it’s understandable for those who feel Woodley’s days at the top might be numbered. He’s getting up there at 36, having spent nearly a decade taking on the toughest at 170. The inactivity is another factor, as is any possible lingering affects from his shoulder injury. He has been successful at this level without having really been dominant as of late. If one were inclined to think that the UFC pulls some strings, it would be worth noting that he probably doesn’t have the brass behind him, either. The welterweight class was formerly a glamour-division for the UFC and Woodley has taken it off the front page during his desultory tenure. And at 36 with that time off, how easy is it at this point for him to pare that thick frame down to 170 pounds? Speaking of weight, the challenger Till has his own issues in that category. He let some people down by failing to make weight in his big fight against Thompson in May. The Liverpool native took a close decision to put his name near the top of the division. It was a tense, tactical, and close fight that could have gone either way. In any event, Till showed his class in what amounted to a karate points match in many respects. Coming off a TKO in the first round over Donald Cerrone, the win was another big triumph for the accomplished martial artist. Till moved from England to Brazil when he was younger to stay out of trouble, in addition to pursuing his career. A nearly-four-year stay helped him build his chops, as he began his pro career in South America before coming to the UFC in 2015. He kept stepping up in class and continued to flourish despite the rising level of opposition. Make no mistake, however, as Woodley’s resume is by far the higher-quality body of work. That comes with being 11 years older, but it’s worth saying that Till has only had a small taste of what it’s like to fight in bouts of this magnitude. Naturally, with Woodley, we know what we have. The issue lies more with Till and the feeling here is that he is a special fighter. He has dynamite in his strikes and the type of mental makeup you like to see when possibly backing a challenger in a title fight. His striking is excellent, with his Muay-Thai being among the best in the organization. His work ethic is where it needs to be and hopefully, he can conquer any weight issues he might be having. He is, after all, a truly gigantic welterweight. In press face-offs with Woodley, he was much larger—more than one might have imagined. Giving him another dimension is that he’s a lefty. He closes distance with extreme speed and can get you in any number of ways. A coherent case can be made for either man. Woodley is proven at this level and is overall the more-explosive fighter, especially with his punches. I think Till is younger, bigger, peaking, a more active and varied striker than Woodley, and just generally a favorable stylistic fit with the champion. I think Till is the rising commodity here and has good betting value at +115. My Pick to Win: I’m betting on Darren Till at +115 odds. 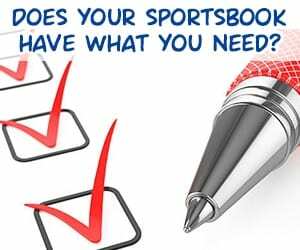 (Adding any kind of bonus to your risk amount will dramatically increase your payout.) 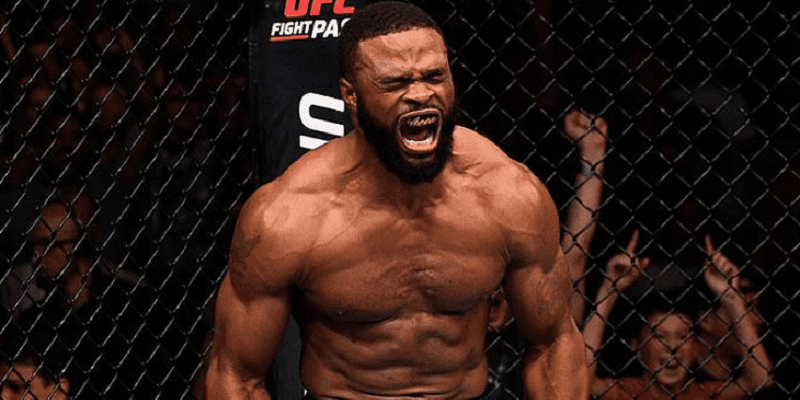 Woodley is dangerous, talented, and experienced at this level, but Till at an underdog price represents some solid value with his package of skills and with how well he matches up with the champion stylistically.